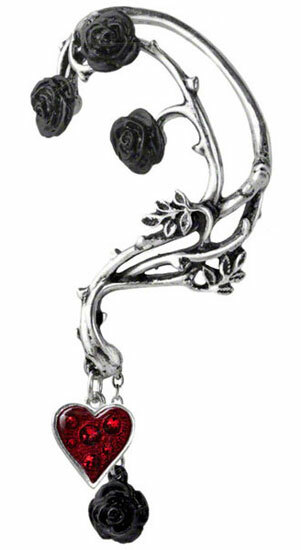 Silver thorn wrapped around the earlobe with black roses on top and leafs in the center. 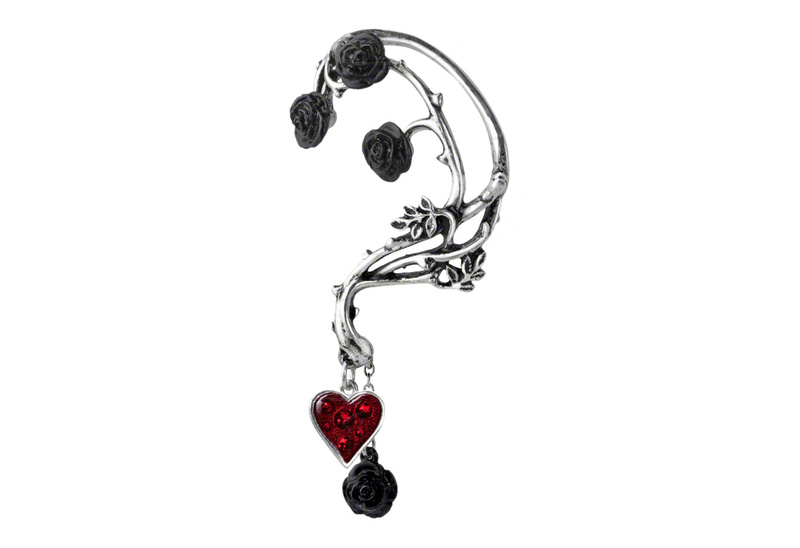 The bottom is weighed by a single red heart embedded in crystals with a single black rose. This ear cuff is made of fine English pewter with blackened pewter, surgical steel post and Swarovski crystal. It measures approximately 2.05 inches wide, 3.70 inches high and 0.63 inches deep. Designed for the left ear. By Gothic Alchemy.